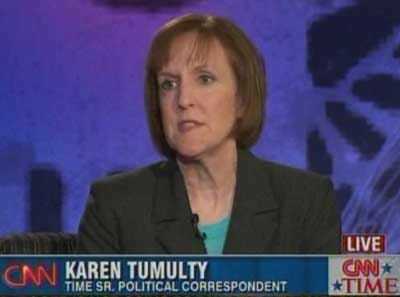 In a big get for the Washington Post, Time Magazine‘s National Political Correspondent Karen Tumulty is headed to a similar position at the WaPo, according to Michael Calderone at Politico. She was at Time for 16 years, becoming the national political correspondent in 2001. She’s a Gerald Loeb and National Press Foundation award winner.